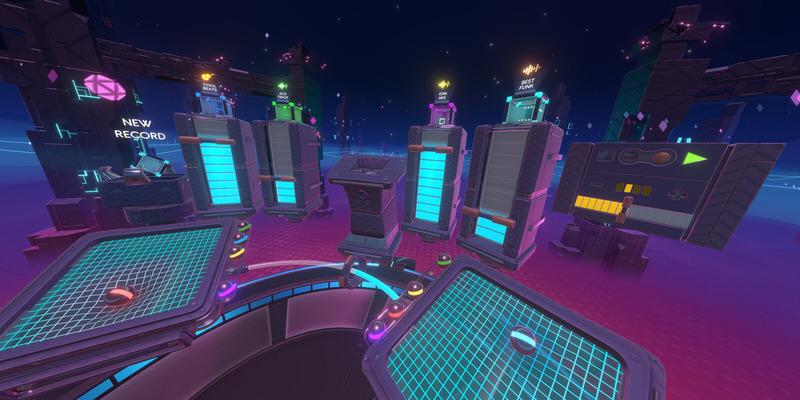 Track Lab from Little Chicken Game Company lets you channel your inner Skrillex by giving you a virtual reality DJ Booth and the tools to create your very own electronic beats. Published by Sony Interactive Studios the PSVR exclusive is now available to download on PSN. Imagine sound as blocks that you position on the Track Lab grid where a beam of light flows through the blocks which then activates sound. Position a string of blocks to form the base of your beat, and then add prisms or optics to split, redirect, or repeat the light beam into forming loops and more complex tracks. Choose from over two thousand different samples across sixteen different styles which can be stacked or placed in patterns to achieve the ultimate music creations. After you have your masterpiece, you can then add live effects from the various DJ mixing tools that are included. What impresses me about Track Lab is that unlike other music games, you are not replicating or remixing someone else’s work, you are creating your own. 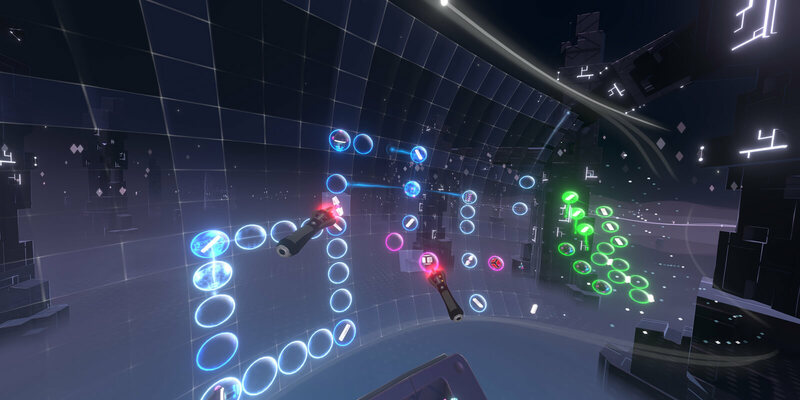 While the heart of Track Lab is a music simulator, it also doubles as a full-fledged rhythm puzzle game in the form of Evolver mode that has you manipulating boxes and optics until light passes through all designated areas on the grid revealing a melodic beat once completed. The puzzles come in varying difficulties and unlock pre-designed beats of different genres that can be mixed and matched together if you aren’t into creating your own beats. For those of you a little more ambitious, you can pick from several genres such as Techno Rock, Rap, and over thirty instruments to build your own sounds and beats from scratch. Add as many blocks and optics as your heart desires until your masterpiece is complete. Track Lab also offers many other tools to add effects or speed up or slow down the beats. I highly recommend starting out with the basic tutorial and the Evolver mode to better understand the game’s mechanics before facing the blank canvas of Creator mode. Track Lab is very user-friendly and requires no formal music training, but it can be daunting at first look. Track Lab does require the use of two Move Controllers that work and track surprisingly well once you have the game properly tweaked to fit your arrangement and play-style. Right off the bat you must chose if you will be a standing or sitting EDM maestro. From there you can also adjust the mixer’s placement and you will definitely want to mess with the settings. The first few times I played Track Lab, I experienced a strange camera issue that kept moving the grid way to the left where I could barely see it. There was a patch released a few days after the game released that seems to have cleared that problem up. The game also required me to physically move my camera to get the best angle in accessing the virtual DJ equipment. It is entirely possible that my cat moved the camera when I wasn’t looking and no actual fault of the game. Your DJ booth is set amidst a neon cityscape with beat-driven floating shapes to compliment your musical creations. While I’m sure Track Lab might have been possible without VR, it really adds to the immersion of the experience. 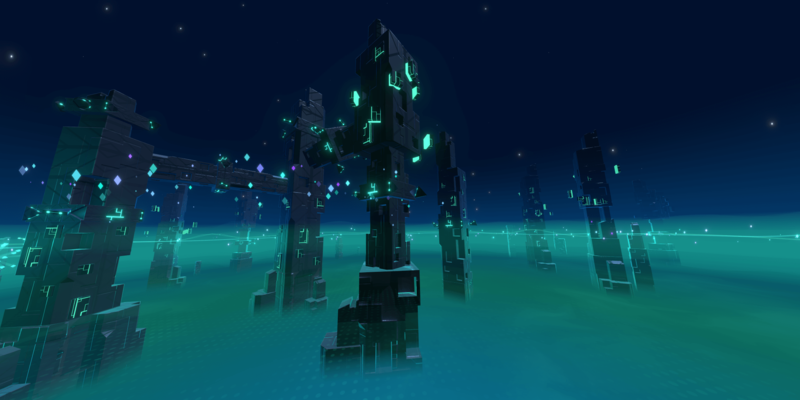 Plus, having the large scope field of view that VR offers offers a unique perspective for moving and adding blocks and optics that wouldn’t be possible without it. Through the power of PS4 Share you can upload or stream videos of your captured music and share them on social media or YouTube, but Track Lab missed an opportunity by not allowing you to distribute your music as strictly audio files to be used on other types of devices. Track Lab gives not only gives fledgling and experienced DJ’s the tools to create music but also provides the neon colored playground to make them feel like a true EDM star. The game is not without a few minor technical difficulties, but it’s incredibly fun and well worth the low price of admission. Track Lab was reviewed on a PS4 Pro which the game is optimized for. Track Lab Code provided by the publisher. 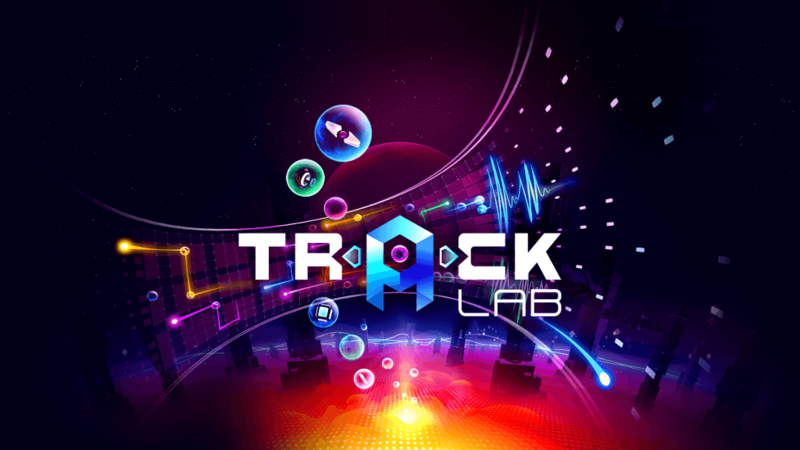 Track Lab has a few quirks but overall it’s a fun and immersive experience for armchair DJ’s / Musicians and Puzzle game fans.